What happens when you’re targeted for wearing Nike? Many folks, especially people of color, celebrated Nike for standing on the “right” side of history in their support of Colin Kaepernick. Nike’s message, “just do it” took on a political connotation. While it is a noble and necessary shift in marketing, there is no denying there are greater implications outside of the corporate fairytale about how real change comes to pass. Real change always comes with a sacrifice, a challenge, and a reckoning. Standing for something worthy of a sacrifice often means putting bodies, reputations, livelihood, families, communities and lives on the line. In Kaepernick’s case, his career in the NFL has been stalled by racist gatekeepers who refuse to acknowledge the humanity of their players, and a wider community of black and brown people who’ve lost their lives due to discrimination and state-sanctioned violence. And, no matter, these gatekeepers and their supporters, refuse to see the peaceful protest as American. They see Kaepernick’s efforts as an affront to their right to ignore what’s happening to black and brown communities and bodies. They are so incensed by his act of peaceful protest that they’ve waged a war against Nike—burning their socks and shoes, cutting out swooshes and cussing online in their self-righteous yet dissonant stance on American-tradition. Give me liberty or give you death applies to none other than angry white men abandoned by their consumerist allegiances without notice or permission. This rage has been punctuated by very vocal condemnation of the brand’s audacity to put a so-called rebel-rouser on the front-lines of their new ad campaign. White folks, white men, angered because Kaepernick dare take a knee in the face of brutality against black bodies, equate their indignation to actual inequality and death. In Louisiana, a mayor actually banned city clubs from buying Nike products as a result. In true form, seething white-hot anger allows folks to commit acts of violence on apparel, which begs the question, what next? This is all in the name of America and patriotism and football. Meanwhile, at the root of Kaepernick’s ban, is a culture that excuses brutality and supports faux respectability. Black folks who protest with their bodies, through kneeling, through cries of outrage, must stop. They must deny their experience and ignore the abuse black youth, black men, and black women continue to endure. We must pretend our justifiable rage is not on par with a white man’s upset over a company brand using a black man’s push for equality and justice to sell merchandise. Sadly, black bodies are bound to experience the full brunt of this white rage, as history tells no lies. All the ways we’ve had to dress to survive in America tells us that danger lurks not far behind the very vocal statement Nike has made. Children have been kicked off football fields for kneeling, so what say you, a winged-victory in the wrong zip code? Justice hardly ever prevails in these pointless displays of privilege—while cops target kids who look too poor for their clothes, NFL teams can penalize their players for kneeling, and cops can kill unarmed black men in their apartments, the list goes on and on. We will wait for the vengeful rage of white entitlement to spill over into our daily lives as it always seems to do. Must we watch our children in their Nike threads more vigilantly? Must we watch which brand names we sport as much as we watch the tone of our voices, or how low our pants sag, or how sharp our attitudes seem, or how appropriate our blackness might feel to the person beside us holding their cellphone? Do we really own our right to be present in the world, to peacefully demand justice, to celebrate a global victory on TV without back-tracking and rethinking it all; without the dreadful question, are we safe lurking in the background? So I ask again, what happens when you’re targeted for wearing Nike? One thing is for certain, no swoosh can protect us. Our Black History Mini Docs Blog featuring writer, producer and editor Ah-Keisha McCants. BHMD seeks to offer commentary on current events, articles on black history and history makers and their relevance to the present day, cultural celebrations, literary highlights, community outreach, artwork, prose, poetry and musings that reflect on experiences within communities of color in America and abroad. BHMD welcomes guest contributors to submit their own commentary pieces, historical explorations and current events to our blog! 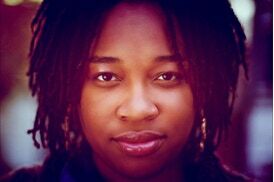 Ah-Keisha is an award-winning playwright/songwriter, stage director, filmmaker, media-maker and creative arts educator. She is passionate about literacy as an intersectional and multicultural phenomenon influenced by an increasingly digital world in complicated ways. At 19 years-old, she made her NYC Off-Off Broadway debut through her interactive poetic play, Cafe Millennium. The play tackled the emergence of digital technology by highlighting the complexities of human relationships, within and outside of the individual while in community. Ah-Keisha is a professor for the City University of New York&apos;s (CUNY) School of Professional Studies, Masters in Applied Theatre program. Ah-Keisha&apos;s writing has been published in Linden Avenue Literary Journal, Specter Magazine, and For Harriet. As a Theatre, Media Arts and Literacy educator, she&apos;s led workshops for students across many demographics including K-12, college, non-profit organizations, and mental health and rehabilitation centers. She holds a BFA in Creative Writing from Goddard College, and an M.S.Ed in Reading, Writing and Literacy from the University of Pennsylvania. I want to embrace my purpose. I want to look in the mirror and smile every single time I see my face stare back. Even when the pimples dare me not to. Even when my locks won&apos;t lay right. Even when my clothes dimpled against the fullest parts of me ain&apos;t contained in spanx and control tops.